Home / News / Are You Ready To Move In? 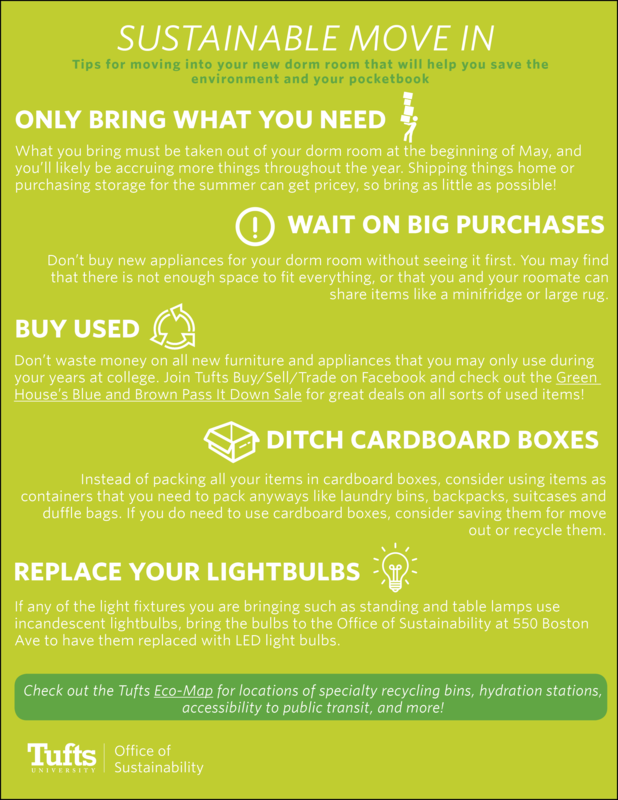 With the fall semester fast approaching, the Office of Sustainability has rounded up some tips to make your move-in as sustainable as possible! 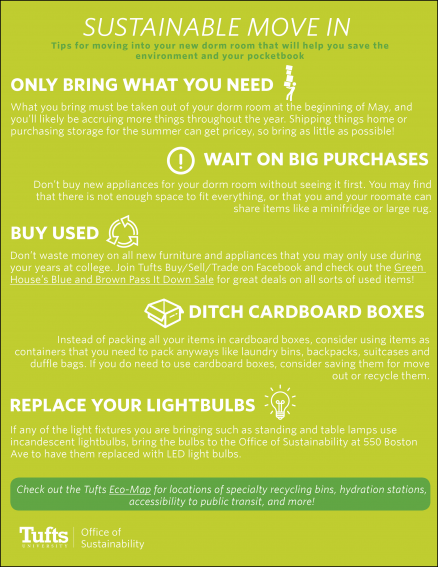 Check out our recent blog post for sustainability tips as well as some PSAs from the Recycling Fellow regarding recycling practices during move-in.